Way to go Ford, another winner. 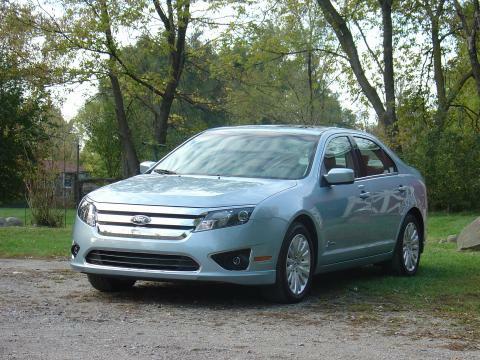 I love my Ice Blue Ford Fusion Hybrid. This automobile is in a class by its self. An American made, midsize, 4 door sedan in an affordable gas/electric hybrid. I bought it with the Ford preferred package option. I sure do like it.